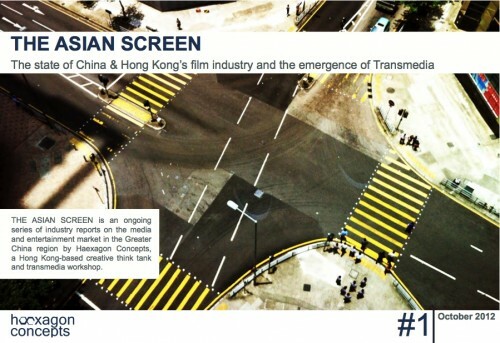 Haexagon Concepts has just released their industry report on the film industries in Hong Kong & China. It’s a snappy, well-researched report, and tackles subjects ranging from advertising methods to the emergence of transmedia storytelling in these two regions. SARFT quickly picked up on this practice and vowed in August 2012 to strictly enforce co-production terms, demanding that films include Chinese locations, Chinese actors, and a story that “incorporates Chinese themes”. “Expendables 2” was the first casualty, having its co-production status removed despite a hefty investment by LeVision Pictures. “”Looper” was suddenly pulled from its release date with no official reason and abruptly returned to its original release date two days before it (The opening “dragon logo” stated that it is now classified as an imported film). The announcement even sent a shockwave among Hong Kong filmmakers, who had to go to Beijing for an emergency meeting with SARFT. Read the full report over here. Previous post Why Should I Care About the Power Transition in Beijing?